Always Dreaming, ridden by John Velazquez, won the 143rd Kentucky Derby at Louisville’s Churchill Downs. CNN’s Coy Wire reports. Always Dreaming ridden by John Velazquez staved off the competition to become the winner of the 2017 Kentucky Derby on Saturday. The horse, trained by Todd Pletcher, came into the 143rd “Run for the Roses” at Churchill Downs in Louisville, at 9-to-2 odds. The 2017 Kentucky Derby will be the 143rd running of the Kentucky Derby, and is set for Saturday, May 6, 2017. The Kentucky Derby is a horse race held each year in Louisville, Kentucky, on the first Saturday in May, at the end of the two-week-long Kentucky Derby Festival. 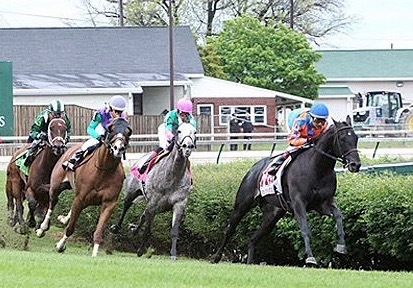 The race is a Grade I stakes racefor three-year-old Thoroughbreds at a distance of 1 1⁄4 miles (2.0 km), and has been run at Churchill Downs racetrack since its inception in 1875. NBC Sports Network and NBC will broadcast from Churchill Downs starting at 12 PM ET and 2:30 PM ET respectively. Post time for the Derby itself is 6:34 PM ET. 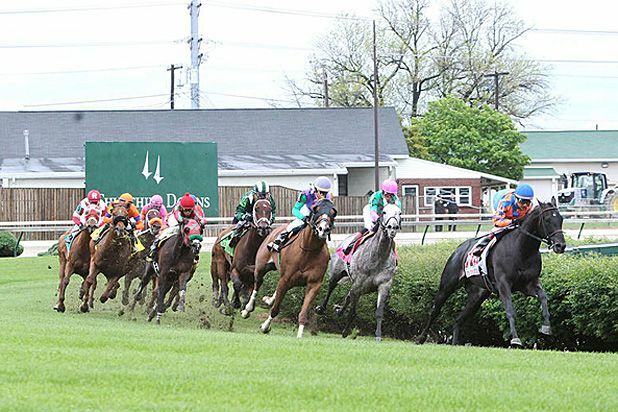 The field for the Kentucky Derby is limited to twenty horses who qualify based on points earned in the Road to the Kentucky Derby, a series of races that was first introduced in 2013. Girvin was the top point-earner in 2017 after winning both the Risen Star Stakes and the Louisiana Derby. Classic Empire, who was the early Derby favorite after winning the Breeders’ Cup Juvenile in 2016, finished second in the qualifying series after overcoming several setbacks to win the Arkansas Derby. The other major prep race winners were Gormley (Santa Anita Derby), Irap (Blue Grass Stakes), Irish War Cry (Wood Memorial), Always Dreaming (Florida Derby) and Thunder Snow (UAE Derby). Several other top contenders have either had injuries or have raced inconsistently. Not This Time was an early favorite for the Derby but was injured shortly after finishing second in the Juvenile and was retired from racing. After an impressive win in the San Felipe Stakes, Mastery was pulled up by his jockey and was found to have a condylar fracture that will take several months to heal. For the first time, a spot in the starting gate was set aside for a horse from Japan through the separate Japan Road to the Kentucky Derby. Epicarchis, a grandson of 1989 Kentucky Derby winner Sunday Silence, qualified by winning the Hyacinth Stakes at Tokyo Racecourse on February 19. However, the connections of Epicharis declined the invitation. On May 3, entries for the Derby were taken and the post position draw was streamed live by Churchill Downs. After drawing post position 14, Classic Empire was installed as the lukewarm favorite on the morning line at 4-1 by Mike Battaglia. Always Dreaming in post position 5 and McCraken in post position 15 were both given odds of 5-1. The entry fee is normally $25,000, but Fast and Accurate was required to pay a supplemental entry fee of $200,000 as he was not nominated to the Triple Crown earlier in the year). The also eligible entries were scratched when none of the qualified horses opted to withdraw before the 9 a.m. Friday deadline. To read more go to the link below.